Do you want to voice call someone on Hangouts and you are getting this error: “Hangouts needs access to your microphone to make calls.See the popup window to resolve this issue.“? Let’s see how can we fix this problem. We will give our tips for Google Chrome. We recommend you to use Google Chrome for any kind of voice and video call services since it is the best. Tap on green “Secure” text on the address bar. You will see microphone is blocked. You need to allow it and reload the page again. That is it. Now you fixed the problem. If you would like to ask anything related with those steps above, please don’t hesitate to comment on this page. We will respond your questions as soon as possible. 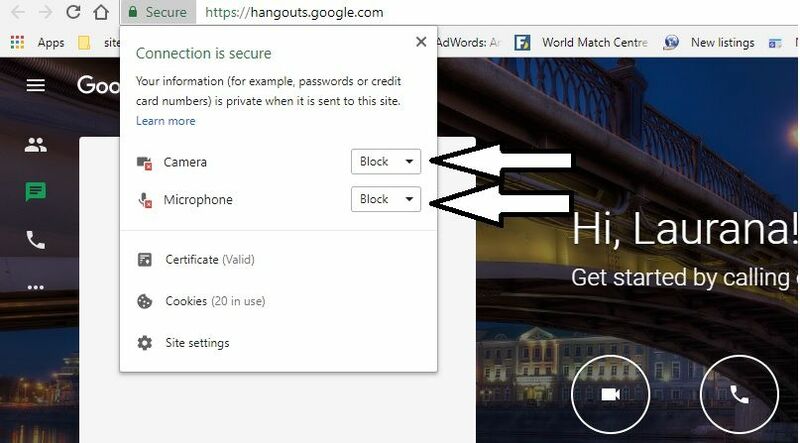 Once you have download the Chrome, you won’t need to download Hangouts for use the application. You can download Google Hangouts from Chrome Store in a few seconds. Hangouts will be added to your browser after you install it. You can also use mail.google.com to use Hangouts. Just login to your mail account and take a look at left sidebar of the website.